"Keep your feet elevated and get plenty of rest" may sound like simple hospital discharge orders, but for a homeless person they're not. The lack of a safe place to recuperate after a hospital stay can delay recovery and create an expensive cycle of emergency room use and re-hospitalization, said Diana Vance-Bryan, senior vice president of health services and chief administrative officer of Catholic Charities St. Paul and Minneapolis. 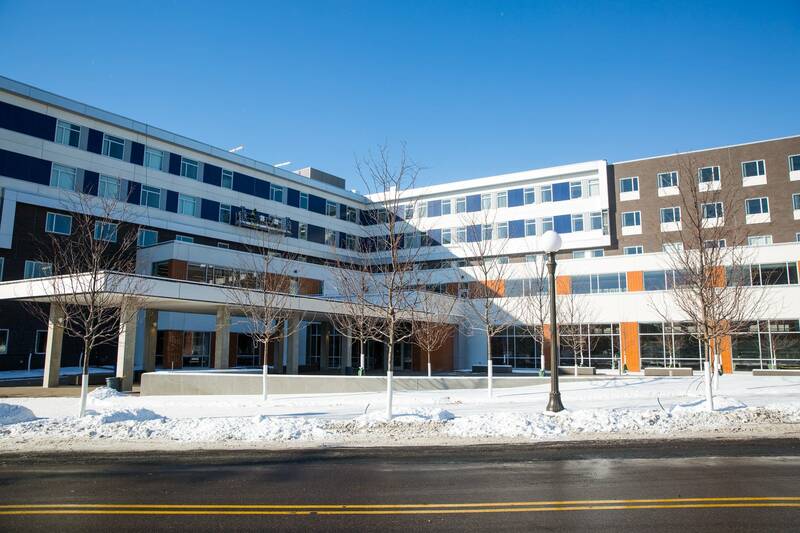 Catholic Charities teamed up with United Hospital, Regions Hospital and St. Joseph's Hospital to create a way to address the problem: a 16-bed medical respite unit within the new Higher Ground St. Paul in downtown St. Paul. Higher Ground provides both emergency shelter and more permanent housing. The medical respite unit, which opened Jan. 17, will be officially unveiled Friday. The Medica Foundation and Blue Plus of Minnesota also provided funding. Nurses and a mental health worker provide care for people who no longer need hospital-based care but are too ill to recover on the streets or in a shelter. The respite unit accepts referrals from the three hospitals in the partnership. "We work to create a healing environment," Vance-Bryan said. "We have nurses and other respite staff who help them with their discharge instructions." The unit also provides behavioral health, medication assistance and transportation to get patients to follow-up care. Patients are only released once they're sufficiently stable from a mental and physical standpoint. Twenty-one patients, recovering from wounds, cancer and psychological trauma, among other conditions, have sought respite care so far. Eleven have been discharged. The healthcare model is similar to the Catholic Charities' Exodus Residence in Minneapolis. Vance-Bryan described the partnership with the St. Paul hospitals as a "united labor of love" with the goal of benefiting the larger community and restoring dignity to patients in need of the service.